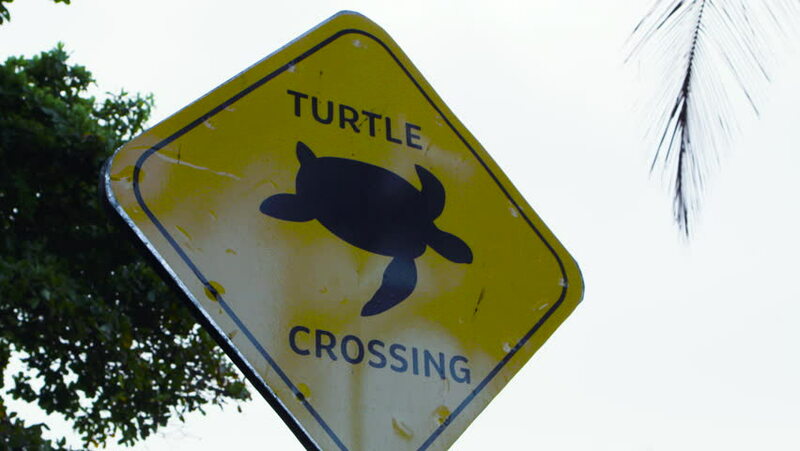 A locked down cinematic shot of a sea turtle crossing sign in morning hours. Shot in 5K. 4k00:10WESTERN USA 1980: a map showing the directions starting from roaring fork via lower green river lake and so on.